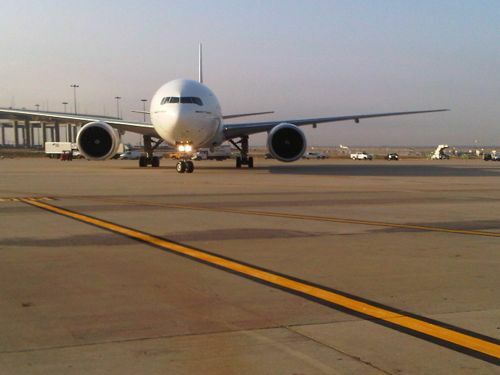 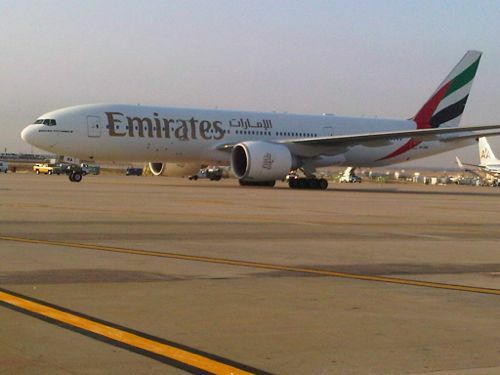 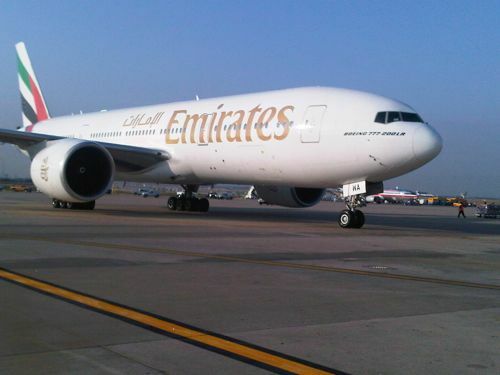 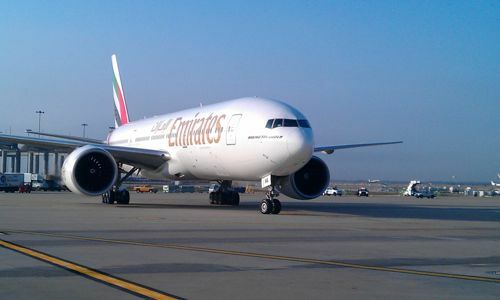 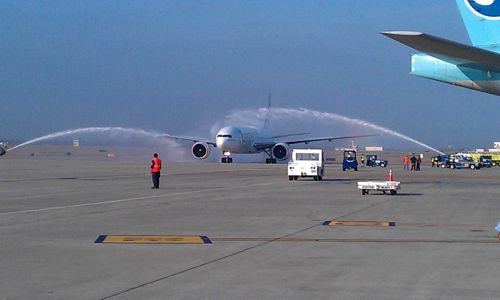 Here are some pictures from the inaugural Emirates flight into DFW today from Dubai DXB. 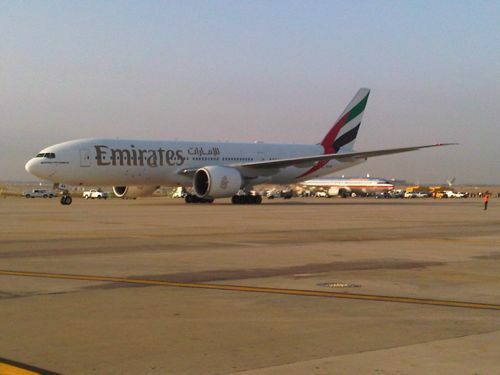 The aircraft was A6-EWA, a Boeing 777-21H(LR) delivered Aug 31, 2007. 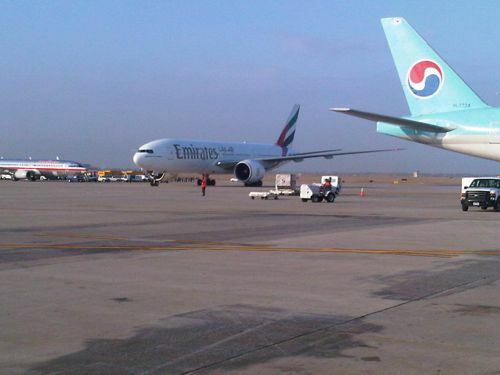 Thanks to VJ for sending these in.